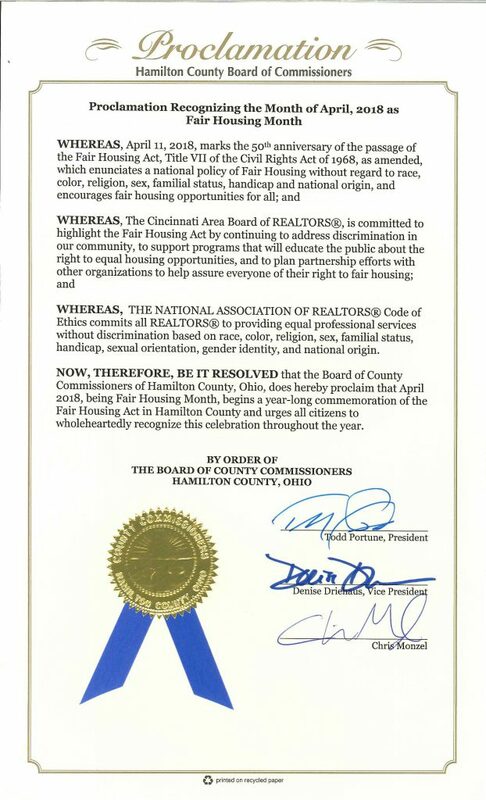 | Fair Housing Month Proclaimed in Cincinnati & Hamilton County! Fair Housing Month Proclaimed in Cincinnati & Hamilton County! 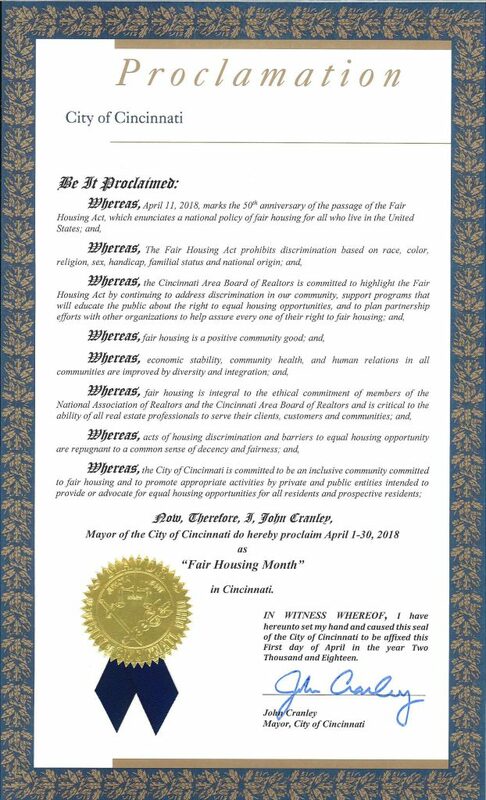 April was designated as Fair Housing Month in the City of Cincinnati and throughout Hamilton County. 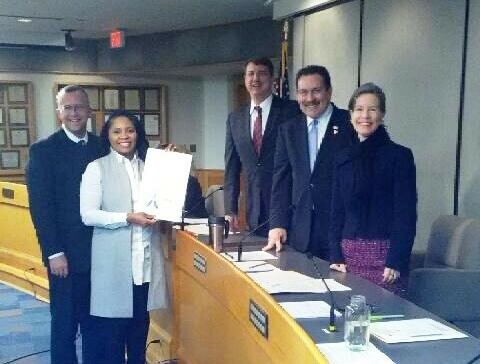 On April 4, 2018, CABR President-Elect Michelle Billings and Director of Government Affairs Mark Quarry received a proclamation from Hamilton County Commissioners Todd Portune, Denise Driehaus and Chris Monzel. CABR President Phil Morrical was unable to attend the meeting due to an emergency work conflict. 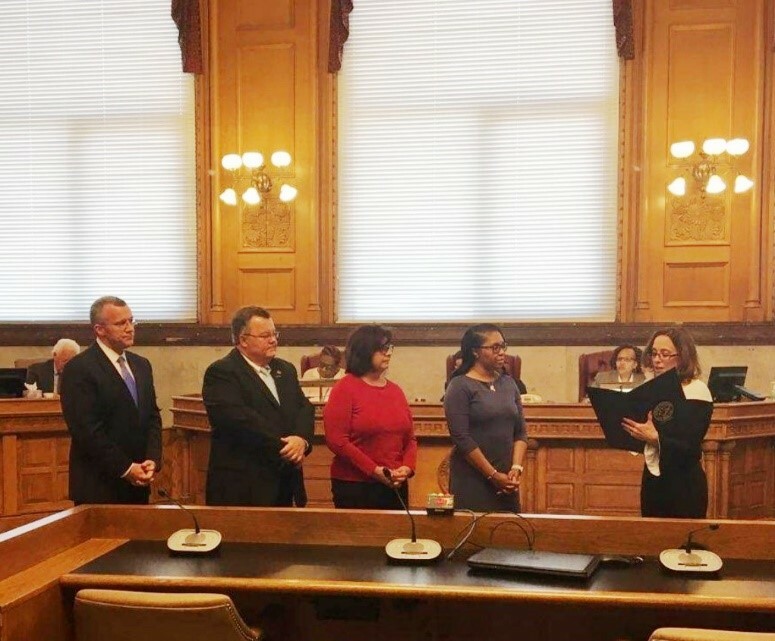 On April 18, 2018, CABR President Phil Morrical, President-Elect Michelle Billings, Diversity & Housing Initiative Chair Ellie Reiser and Director of Government Affairs Mark Quarry received a proclamation from the City of Cincinnati and Mayor John Cranley. Presenting CABR with the Proclamation was Cincinnati Councilmember Amy Murray.